On board this last flight is NASA’s ICESat-2, a satellite that’s tasked with measuring how the land and sea ice around Earth’s poles change over time. It’s a follow-up mission to the original ICESat spacecraft, which observed Earth’s ice transformation from 2003 to 2009. Both satellites use the same sophisticated tool: a pulsing laser that bounces off the ice on the planet’s surface, telling scientists the extent of the polar ice as well as the thickness of the ice sheet. 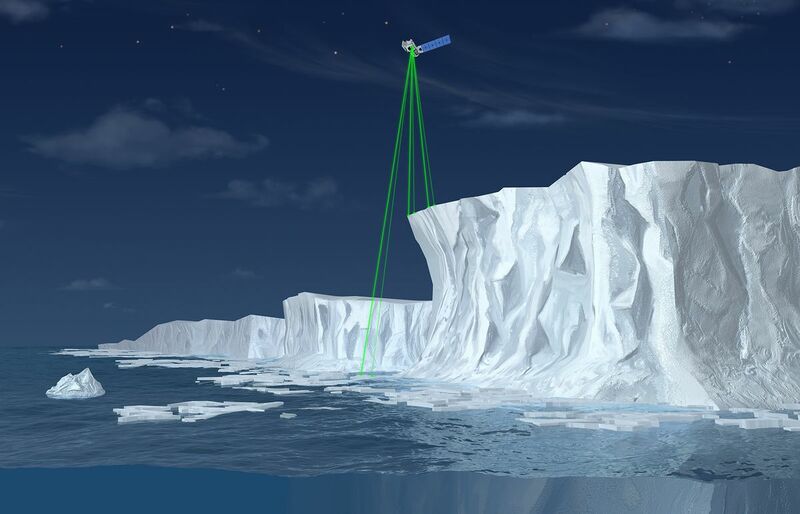 A rendering of ICESat-2 measuring the polar ice from space. ICESat-2 is a fitting mission for the final Delta II rocket, which has sent numerous spacecraft into orbit around Earth. Derived from old ballistic missile technology, the Delta II was responsible for putting the Spitzer Space Telescope up above our planet, as well as various climate observatories and weather satellites. But the vehicle has pulled off notable deep space missions as well. The Delta II was the ride for NASA’s planet-hunting spacecraft Kepler, and it sent NASA’s Spirit and Opportunity rovers to the Martian surface. And save for two failures in the ‘90s, the Delta II has proven to be a fairly reliable rocket for the United Launch Alliance. But despite its reliability and long history, the ULA is ready to retire the vehicle. It doesn’t fly very often anymore, and the ULA is focused on consolidating its fleet to its existing Atlas V and Delta IV Heavy launch vehicles while developing a new rocket called Vulcan. All three can provide the same capability that the Delta II can, without the added cost of keeping the Delta II running. The final flight of the rocket is slated for takeoff from Vandenberg Air Force Base in California at 8:46AM ET on Saturday. ICESat-2 will be deployed into orbit around 52 minutes after takeoff. The mission team will then run a few systems checks on the spacecraft, with plans to turn on the satellite’s laser, ATLAS, about two weeks after launch. Once ATLAS is deemed healthy, the plan is to start collecting data by mid- to late-October. ICESat-2 is slated to last at least three years in orbit, with enough fuel to last up to seven years if needed. During that time, the satellite will bombard Earth with lasers. 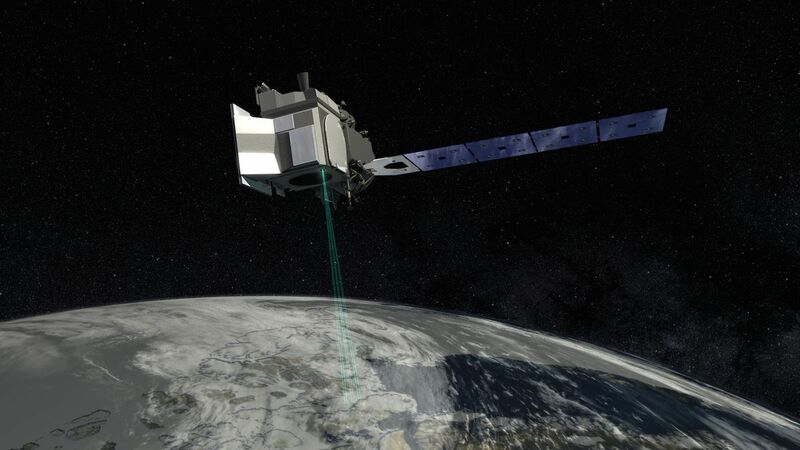 The ICESat-2 generates a laser light that gets split into six beams, each of which sends 10,000 pulses down to Earth per second. These lasers hit the ice on our planet and reflect back up toward the spacecraft’s onboard telescope. ICESat-2 then measures how long it takes the lasers to return to the satellite, which indicates how high the vehicle is above Earth. That ultimately tells scientists the thickness of the ice sheets below the satellite. That’s good news for those interested in learning how the changing sea will impact our oceans and atmosphere. As the ice in Greenland and Antarctica decreases, all that lost water gets dumped into the oceans, contributing to sea level rise. Plus, the thickness of the ice also influences Earth’s atmosphere, affecting how heat and moisture are exchanged between the polar oceans and the air. “So by measuring the thickness with ICESAT-2, we’ll have much better information to predict how sea ice is going to change,” says Neumann. NASA’s coverage of the ICESat-2 launch is slated to begin at 8:10AM ET. Check back then to watch the final Delta II send a much-needed laser into orbit.